Join La Crosse USTA League Tennis. For more information, click here. LaCrosse, although one of the smaller USTA areas in Wisconsin, has some GREAT tennis players. USTA leagues in LaCrosse are competitive and fun. New this year will be USTA leagues in Black River Falls and Taylor. Contact Dale & Emily for more information. The May 20th Block Party on the new courts at the Black River Falls High School was well attended by both adults and juniors. 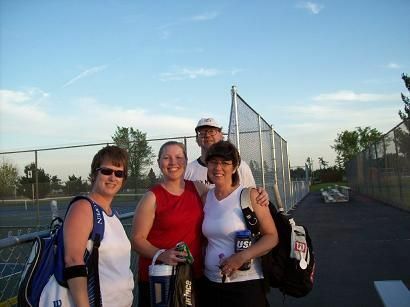 This event was the "kickoff" for a USTA adult league season. 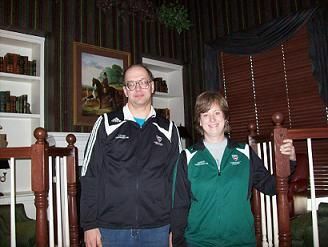 In attendance were local league coordinators, Dale Barclay and Emily Kirchner.